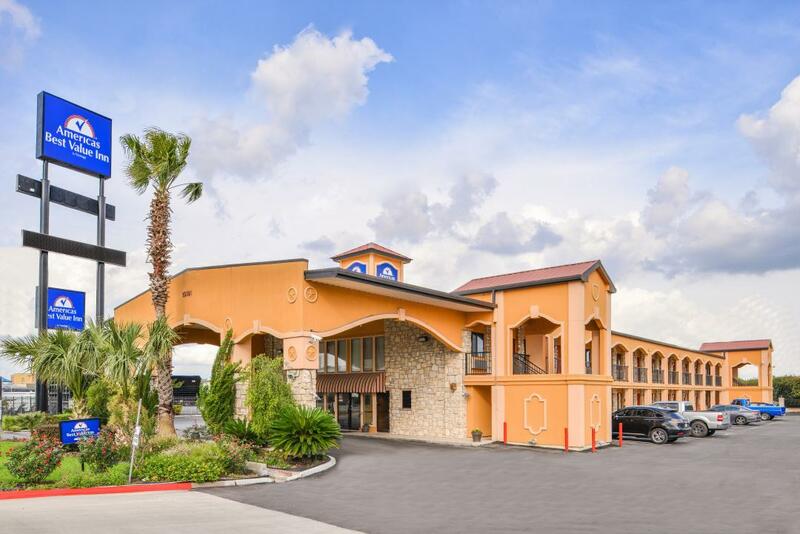 Americas Best Value Inn of Buda-South Austin offers the most value for your money when staying for business, pleasure, or just passing through. Start your morning off right with a free newspaper and our free continental breakfast. Our hotel offers a seasonal outdoor pool, barbecue pavilion, and guest laundry facilities (based on availability) to help enhance your stay. All of our guest rooms feature free Wi-Fi- microwaves, mini-fridges, coffeemakers, radios, 32 inch flat panel TVs, HBO, ESPN, and CNN. Take advantage of our extremely comfortable beds and relax while saving money year-round with our Kids Stay Free Policy (11 and under in parent's room). Sorry no pets are allowed. Our hotel is centrally located 13 miles south of Austin along the I-35 corridor in beautiful Hays County. 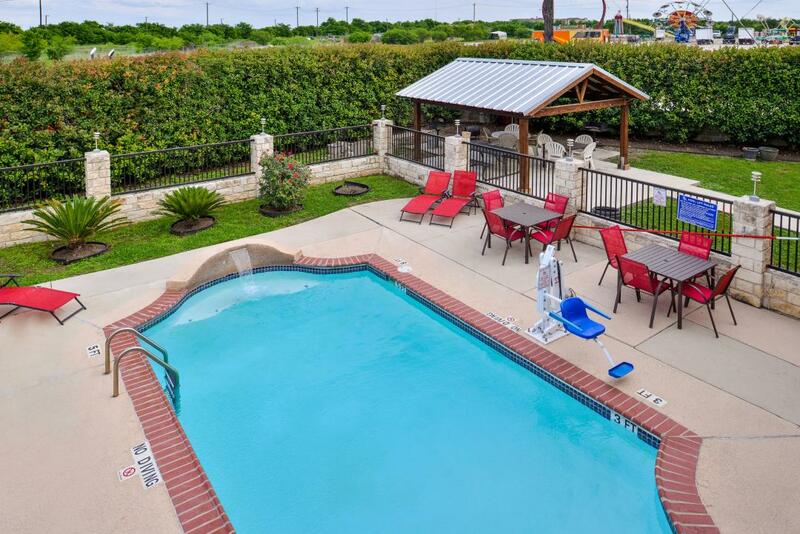 Americas Best Value Inn of Buda-South Austin offers easy access to the area attractions in Buda, Austin, and San Marcos. We are near the University of Texas at Austin, Texas State University in San Marcos, Austin Museum of Art and Texas Memorial Stadium. The Circuit of the Americas- which is the home of the only U.S Grand Prix is less than 16 miles away. Other nearby attractions include 6th Street, Texas State Capitol, the Alamo, River Walk, Cabela's Buda- Historic Main Street, Aquarena Springs, San Marcos Outlet Malls, Schlitterbahn, and Gruene. Our city's spirit is demonstrated with festivals year round, such as the nationally known Wiener Dog Races in April and Budafest in December. Local restaurants include Garcia's Mexican Restaurant, Cracker Barrel, and Chili's. 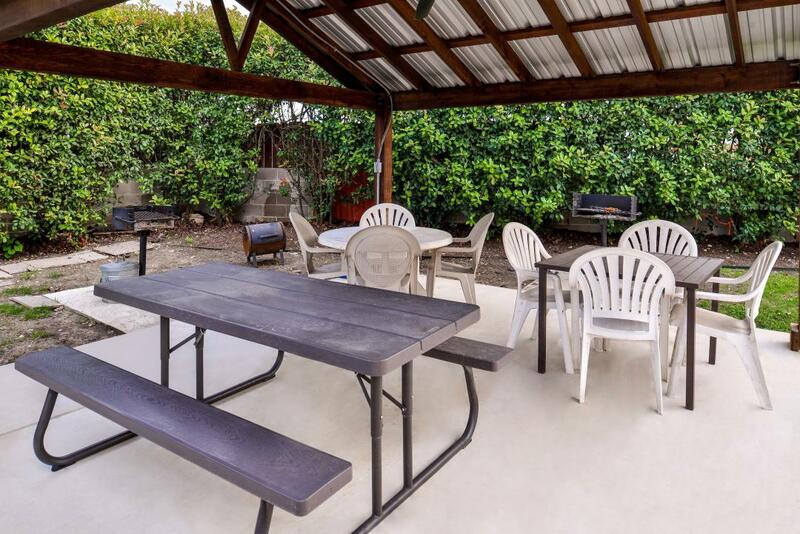 Americas Best Value Inn of Buda-South Austin is your best choice within the Outdoor Capital of Texas. At Americas Best Value Inn of Buda-South Austin- We've Got You Covered from the time you hit the road until your head hits the pillow. Please note: Check-in after midnight requires prior arrangement with management. Credit cards will be authorized prior to arrival and must be valid in order to hold the reservation. Little Caesars Pizza, 0.5 mi. Dan's Hamburgers Inc, 0.5 mi. Long John Silver's, 0.5 mi. Garcia's Mexican Restaurant, 2.0 mi. Check out these Buda attractions during your stay. Cabela's Hunting and Fishing Wildlife Store, 0.8 mi. Buda's Red Door Shopping, 1.9 mi. Onion Creek Club Park, 5.5 mi. Performing Arts Center, 5.7 mi. Austin Roller Rink, 8.4 mi. Rogers Ranch Hall, 11.6 mi. Historic Main Street, 1.6 mi. Cabela's Retail Store, 1.8 mi. Austin Community College, 12.1 mi. St Edward's University, 13.2 mi. E 6th St, Austin, TX, 13.7 mi. Austin Museum of Art, 14.6 mi. Austin Convention Center, 14.8 mi. Texas Memorial Stadium, 14.8 mi. Austin Children Museum, 15.3 mi. French Legation Museum, 15.3 mi. Circuit of the Americas F1 Track, 17 mi. The San Antonio River Walk, 66 mi.